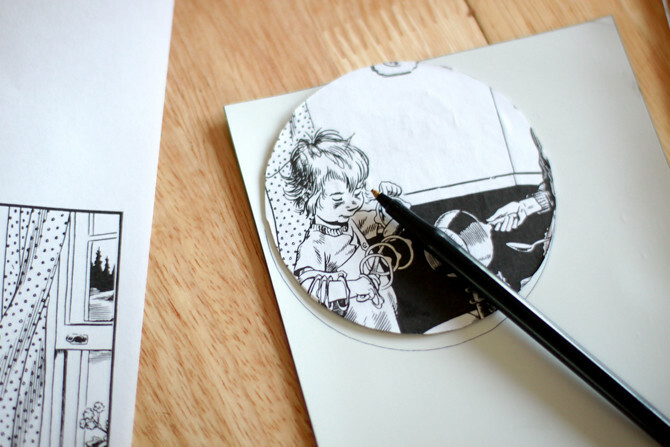 There are so many illustrators that capture childhood imagination beautifully between a book's pages. There are such great emotional ties to certain books from my childhood usually because of my memory of the illustrations. 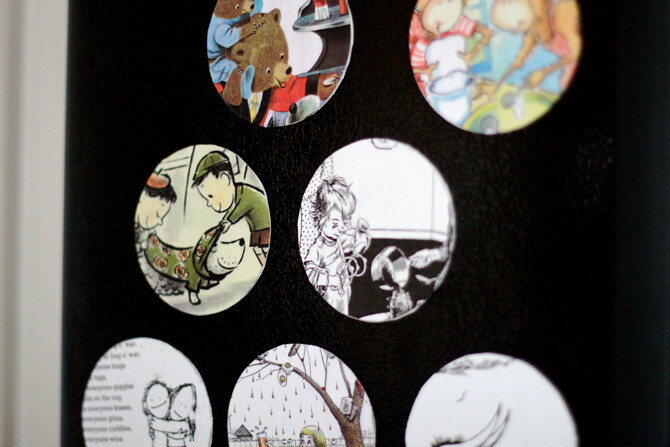 Seeing my sister-in-law's homemade cards recently gave me an idea; why not make some (much needed) magnets from our favorite illustrations out of our most favorite books. 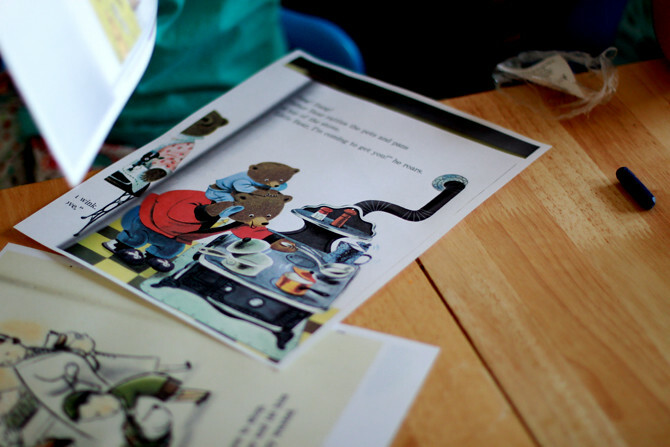 It was a perfect project to do with my children as we sat with books scattered all around us, flipping through pages, voting for the best ones. 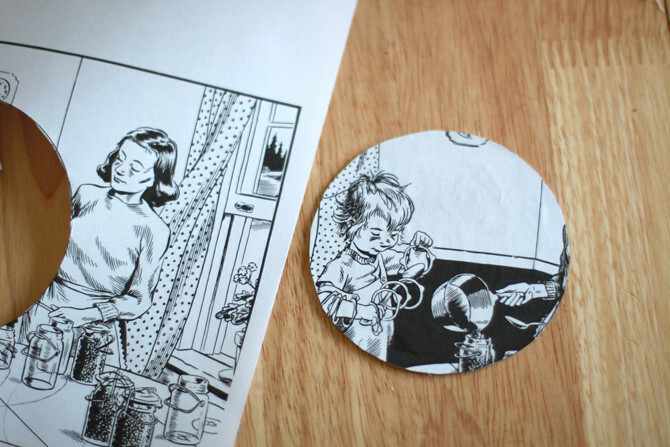 Cut out circle from illustration. 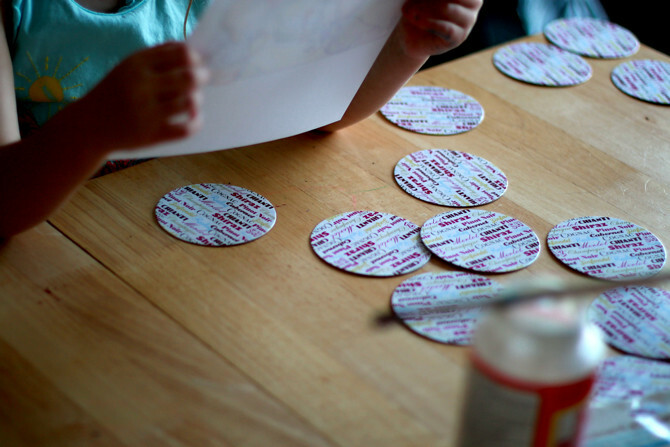 Trace coaster onto magnet sheet. 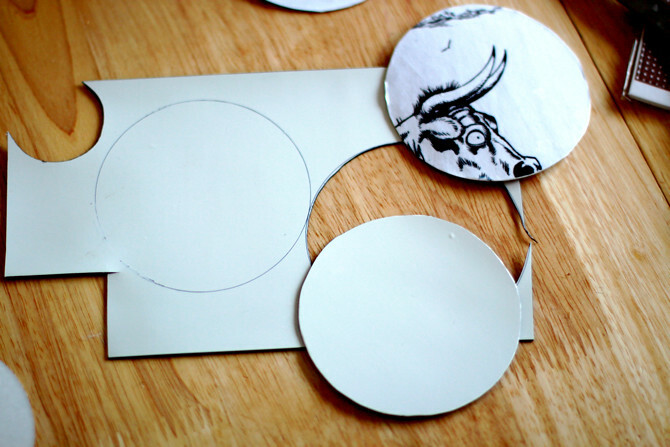 Cut out circle on magnetic sheet. 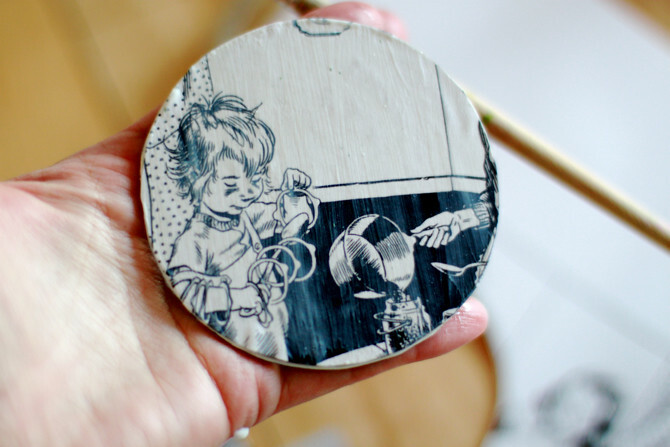 Glue (using Mod Podge) illustration onto coaster with a craft brush. 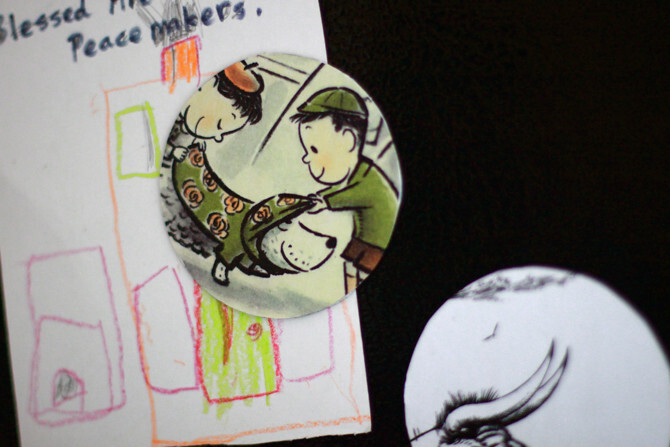 Glue coaster onto magnet the same way. 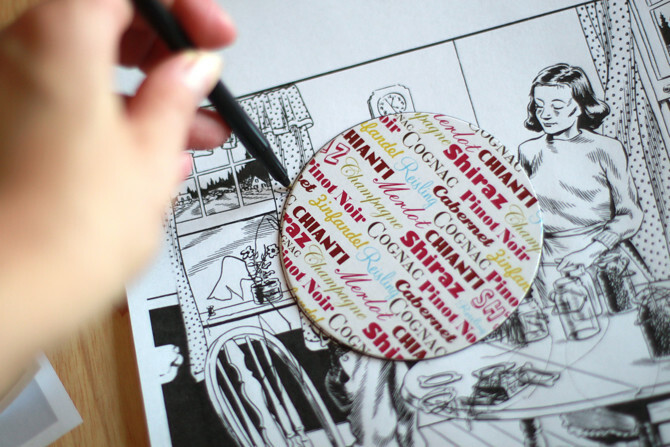 Lastly, glue a thin layer onto the illustration to seal, covering the edges as you brush. 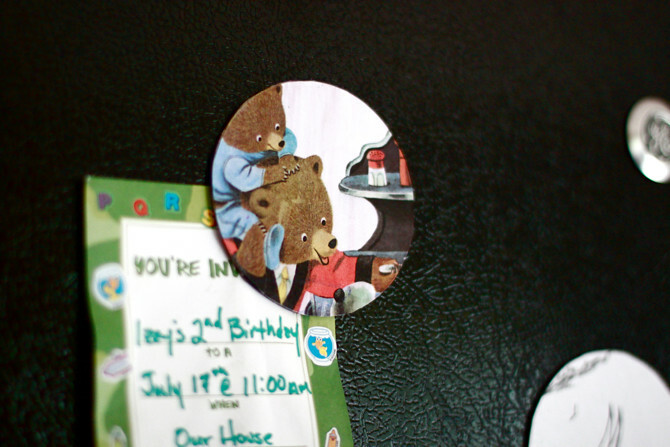 I love how large the magnets are. 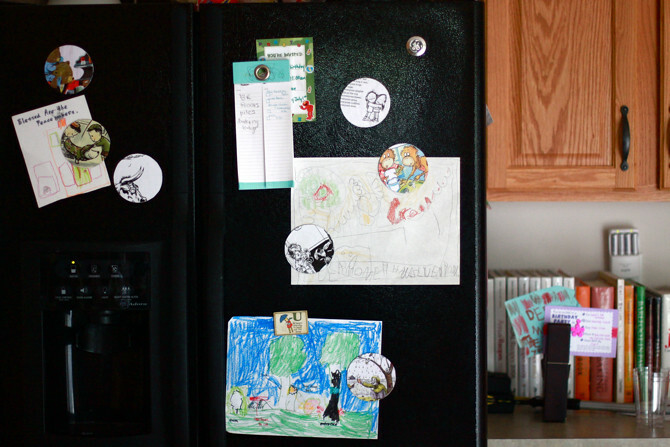 No more wimpy, tiny magnets that won't hold up kid's artwork! 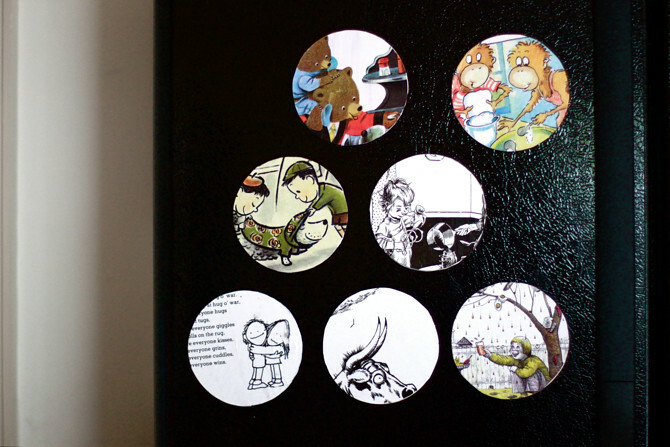 Now here's the question: can you guess the books of all seven magnets??? (Or at least the author or illustrator.) I'd love to see if you know these books! Answers and winner will be announced tomorrow.